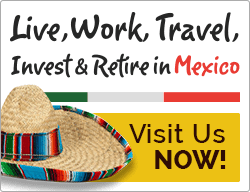 What will I do when I retire or move overseas? It’s a great question, and one we should ask far ahead of the fateful day. For some, “retire” has no meaning. I’m probably one of those too. For us, moving overseas is part of a life adventure, way ahead of retirement age – a retooling, re-tweaking, and rejuvenating experience. This topic of the newsletter offers a few ideas to ponder – there are so many ways to achieve this goal. One is to simply come and work at a fun job, like being a concierge at the beach. Corbin’s story fits that mold. Others, like Holly, decided to become full-time Corporate Social Responsibility (CSR) Volunteers. Finally, in the third section, there is an opportunity for a qualified individual in finance and accounting south-of-the-border. Corbin Hiebert, daughter of Patrick Hiebert, Gran Pacifica VP of Sales and Marketing, likes adventure and road trips – exploring, in a quieter way. Born and raised in Vancouver Island, British Columbia, she has been coming down to Gran Pacifica Resort, and Nicaragua, since middle school. She really enjoys it here. Corbin is now age 24. 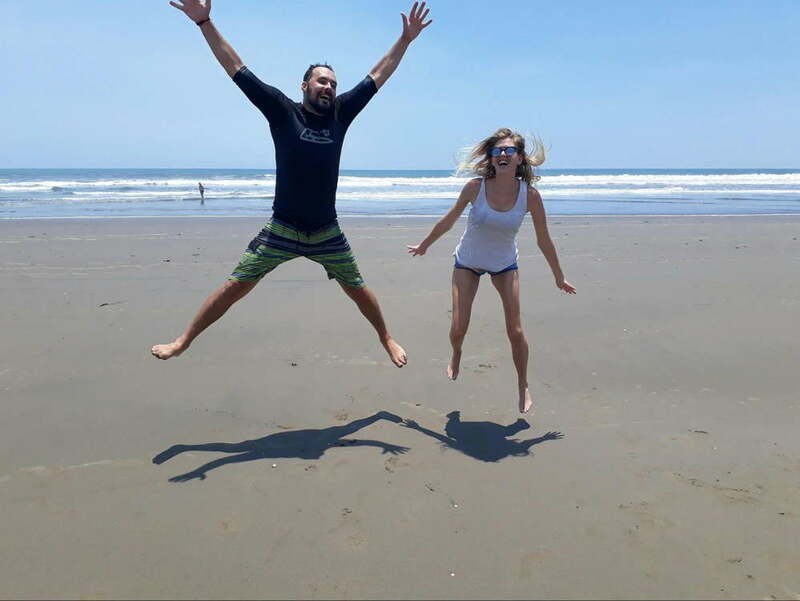 Corbin found her way to Nicaragua, through her father, Patrick, who had his Vida Del Mar company located at Gran Pacifica Resort for the last 3 years. Corbin came down to work for the company, first as Director of Resort Activities, then taking on Sales Assistant for ECI Development. Although most residents and guests will recognize her as the Director of Resort Activities, she loves working with the kids there the most – not surprising, since she received a diploma in Early Childhood Education in 2014. Corbin says that when she first came to Nicaragua, “We stuck out like a sore thumb,” because tourism was not so developed then. She believes Nicaragua is taking better care of the environment now, and Nica’s are more used to seeing all the visitors and resident expat communities. When she first came, staying in San Juan del Sur, she was taught to cook local Nica dishes, because her “foods teacher” back home was the only one who had a problem with her traveling and missing class. Corbin believes cooking is an amazing part of traveling to new countries. The busy holiday weeks were a little overwhelming for her, with the two different jobs, but everybody pitched in. She organized bonfires by the beach, Easter activities, Christmas and New Year’s celebrations, slip and slide by the pool, several potlucks at Meatgrinders Lounge, and salsa dancing! She has visited orphanages and, in her role as part of the Corporate Social Responsibility Committee here at Gran Pacifica, has helped with donations, organizing, and school assessments. Corbin has organized a rich social life for residents and guests of Gran Pacifica. The Sea Salt Restaurant offers daily specials and activities for the kids on the weekends. She and Dan have transitioned back to Canada….for now. But the Expat Bug has a long-lasting bite, so chances are they’ll be back. Another expat story is one about a woman, Holly Wilson, who was ready to move overseas and change careers. She was attending a large conference for people considering an overseas lifestyle a year or so ago, where I was serving on a panel. She asked me a few questions during Q&A and then found me on the conference floor to talk about ways she could get involved in ECI’s Corporate Social Responsibility (CSR) work. Always ready to help someone get plugged in to do good, we arranged to talk on the phone a few days later. She and I hit it off right away and planned for her to move to Gran Pacifica and try out the role of full-time CSR Volunteer for a 3-month trial run. Nine months later, she’s heading a great program and expanding the scope considerably. Under her watch, a medical clinic was completed and scores of wheelchairs were donated and delivered. Holly organized beach clean-ups, nutritional health programs, worked with doctor and dentist groups, and enjoyed hundreds of hours working in the local community with residents and guests of Gran Pacifica, alongside members of the local community. One of the long-term, ongoing programs is teaching English at local schools several days per week. Holly gathers residents and resort guests, who are invited to participate, so it’s a simple matter of showing up for the participation. Holly takes care of the logistics. Be sure to read the Gran Pacifica social calendar of events pasted below. Who knows, maybe you’ll decide to jump in and teach English when you visit the resort. To be kind is something that many people aspire to, and hope that they are. Kind to others, thoughtful of others’ needs. Generous and considerate. It is a difficult state of being to maintain. As the world turns and the day is busy, distractions are many and kindness can go out the window. As I have lived at Gran Pacifica Resort, and in Nicaragua, the last 6 months, I would like to share some tidbits of the warm spirit of kindness that I have experienced here. No names, no recognition. It is the way people act when no one is looking. When I was new as a resident here, another resident invited me over for dinner to her house, just because. She knew what it was like to be in a new country, and to be away from family and friends. An act of kindness. Like the individual who sees me walking home and stops to give me a ride on the golf cart, going out of their way. Gran Pacifica is a community of people staying part time and full time in Nicaragua. People come and go, with guests staying anywhere from a weekend to 3-4 months, to find out if it is right for them. The employees are a big part of the kindness factor here. I have asked the Maintenance Shop to help with flat tires 3 times, since the roads can be tough on cars. They are so willing, and they know I need the car for English classes and trips to the local communities. They are also skilled at fixing everything! There are several employees who will practice Spanish with me, speaking slowly, so I can get the words and inflection – even though in conversation, I am murdering their language. Another act of kindness. A different resident, when I was new, shared her home and visited with me for several hours, even though she is kind of “a private person.” Thoughtful. There is a young man who comes to visit and play music here. He stays with me and has included me in some special events. He has a generosity of spirit that is infectious, even though I am much older. It is good for me. Again, respect and caring. There is a community schoolteacher who invited me and another resident to the school, so we could participate in “Mother’s Day Ceremony.” That included meeting the mothers and their kids, listening to songs, dance, poems, and sweet words about their moms. An act of grace, which made me cry. There are those times when you feel a bit lonely without the family, so a Nicaraguan friend will share his family with me, because he knows what it is like to be in a foreign country. He lives generously. There was the time a friend and I ran out of gas on a back road. A truck full of sugar cane workers came by, and one of them hitched up my car to his truck and hauled us 7 miles to the closest place for gas, going way out of his way to help. Another resident here held a baby shower for a young woman who was going to be having her first baby. A different resident cleaned her house for her, before she came home from the hospital. While Gran Pacifica is growing as a real community, we need to take care of each other and continue the acts of kindness when no one is looking. Because we can. “My religion is very simple. My religion is kindness,” Dalai Lama. Thank you Holly for becoming a part of the community. You are a blessing to all you know and touch. Thank you too for all the dedication you have for the community, and the outpouring of work and time. You are not tooting your own horn, but I’m honored to be able to do it for you. Scroll on down past the job posting to see the times you can participate alongside Holly in her English classes, highlighted in green in the calendar below. Development of appropriate and timely financial statements, budgeting, latest estimate development and tax reporting. 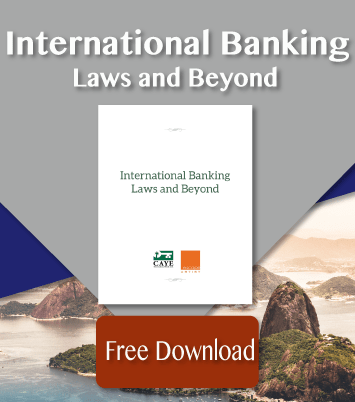 Management of banking and banking documentation. Cash management, including moving money between bank accounts. Management of corporate member and director resolutions and related documentation. Development, review, and storage of all ECI contracts with consultants, contractors, referral and real estate agents, and other third parties. Development of near-term, mid-term, and long-term financial strategies. Appointment and management of external auditors. Establishing accounting standards for all ECI companies. Working with Georgetown Trust, Caye Bank, and others relative to due diligence documentation. Ensuring policies and procedures are in place for procurement, expense management, and budgeting. Other appropriate duties as assigned by the COO and/or Board of Directors of ECI. Supervisory/advisory role in Belize relative to accounting and property management. Qualifications: Certified Public Accountant license. Advanced financial management or accounting degree, or Masters in Business. At least 5 years experience in Financial Management in a related accounting or business discipline, and 8 years relevant work experience. Experience managing and motivating people. Position is full-time and relocation to Belize is required. ECI Development is a 21-year-old business serving North American consumers with a residential resort product in four countries of Latin America. ECI is a leader in the industry and positioned to serve large segments of the North American expat marketplace. Current assets of ECI Development include over 4 miles of direct beachfront real estate, comprising over 4000 acres in Belize, Nicaragua, Panama, and Costa Rica. The company is headquartered in Belize. 1 p.m.: Produce Stand at Meatgrinders Lounge. 1:30 p.m.: You are also invited to teach English with Holly and Helio at California School. RSVP to Holly. Thirsty Thursday – Happy Hour All Day! Buy one get one free national drinks. 5 p.m.: Meatgrinders Lounge serving Happy Hour beers. 6 p.m.: Teaching English to adults with Holly at San Diego School. Please RSVP to Holly. 1 p.m.: Slip and Slide!